TENAA reveals that the Honor 10 will come with a 5.84-inch LCD screen capable of displaying 2280 x 1080 pixels, and rumors claim that there's an upper notch, as well. The rear camera setup comprises a 16 P + 24 MP combo with “semantic image segmentation mode.” The phone is powered by the Kirin 970 SoC and there will be 4 GB RAM/ 64 GB storage and 6 GB RAM / 128 GB storage versions. TENAA is the FCC counterpart that approves all the mobile device designs and specs in China. Because all devices have to be approved by TENAA before any official reveal, specs for the most anticipated Chinese smartphones get leaked quite a few days in advance. 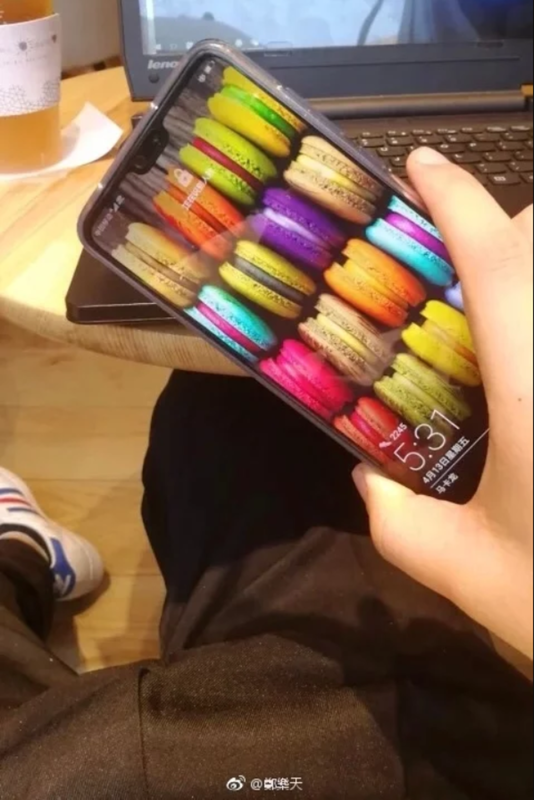 Honor 10 is the latest smartphone to pay TENAA a visit before its official unveiling, and, even though most of the specs were already known from previous leaks, the recent TENAA approval does add and rectify a few. Powering the Honor 10 is Huawei’s HiSilicon Kirin 970 octa-core SoC running at 2.36 GHz. There will be two phone variants: one with 4 GB of RAM and 64 GB of storage, the other with 6 GB of RAM and 128 GB of storage. It was not yet confirmed, but the display is most likely to feature the dreaded upper notch. 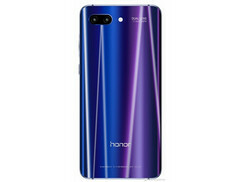 Size-wise, the Honor 10 measures 5.88 x 2.8 x 0.3 inches. As for the 5.84-inch LCD screen, it will come in a more exotic 19:9 aspect ratio with a resolution of 2280 x 1080 pixels. The rear camera setup was rectified to be a 16 MP + 24 MP combo that integrates the “semantic image segmentation mode”, a technology that can detect multiple scenes within a single frame. All this will be possible through the AI features of the Kirin 970 SoC. Other features revealed by TENAA include the Android 8.1 OS out of the box, combined with a highly customized EMUI 8.1 interface, plus a 3320 mAh battery. 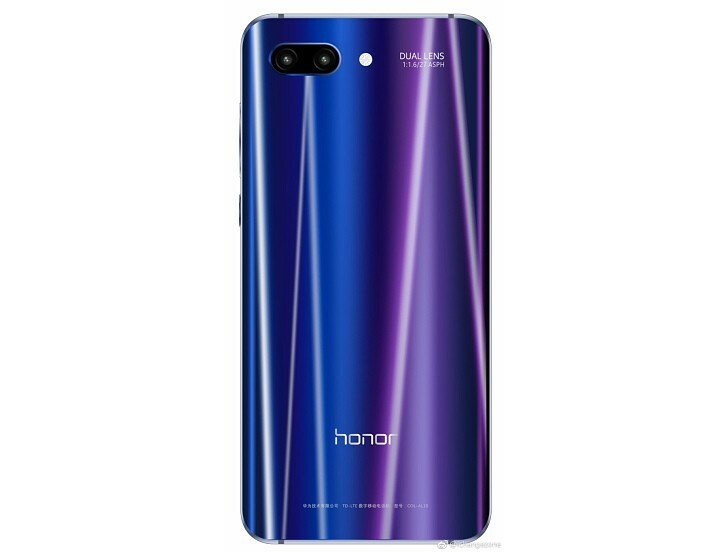 The latest promotional materials revealed that he Honor 10 will be officially unveiled on April 19.